North Dakota Senator Heidi Heitkamp issued a press release Thursday morning re-introducing her plan to improve the lives of Native American children. This bill entails the formation of a national commission dedicated to a thorough investigation of issues that face youth, while working to combat future instances of injustice. “For far too long the potential, the creativity, and the talent of our Native children has been drowned out by the cyclical nature of extreme poverty, substance and domestic abuse, and a lack of economic and educational opportunities–but they are still striving to persevere,” Heitkamp said. A major focus of the Alyce Spotted Bear and Walter Soboleff Commission on Native Children would be raising high school graduation rates in Native communities. As it stands, about 50 percent of Native students graduate while 75 percent of students in white communities do. Heitkamp sees raising these numbers as a vital stepping stone on the path to future progress. All five North Dakota tribes and former North Dakota Senator Byron Dorgan endorsed Heitkamp’s bill. Involvement from Republican Senator Lisa Murkowski of Alaska was instrumental in gaining bipartisan support. Last session, the bill passed unanimously through the Senate Committee on Indian Affairs. At this point, it has earned 20 Congressional co-sponsors (excluding Heitkamp and Murkowski). 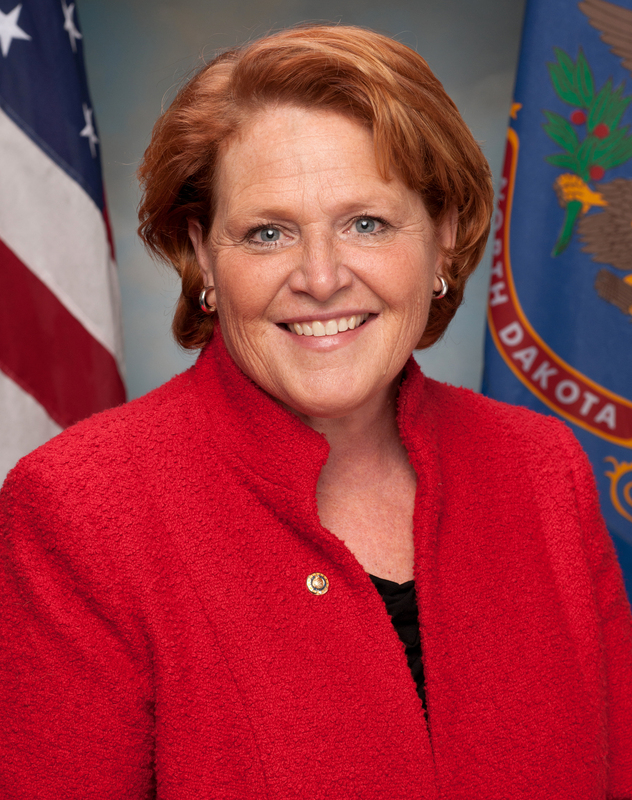 Senator Heitkamp is a huge political advocate to Native Americans. In June, the Democrat hosted her first Native American Veterans Summit in Bismarck. Here, she spoke one-on-one with Native Veterans about the challenges of seeking the benefits they earned. A page on her website is dedicated to streamlining this access. Heitkamp also played a major part in passing the re-authorization of the Violence Against Women Act, which strives to provide tribal governments with the authority to prosecute non-Natives who commit domestic crimes on tribal land. Find a full list of Heitkamp’s efforts here and watch this official video detailing her plans to uplift Native America. Rapid City, SD— What should have been a fun evening for the students and staff of American Horse School (K-8) turned into a nightmare. The 57 students and staff memebers of AHS’s 21st Century Club went to a Rush Hockey game at the Rush Civic Center in Rapid City on January 24th. During the third quarter of the game, a group of about 15 white males who were sitting in a VIP suite decided to harass, insult, and spray beer on the students and staff. The reason for the attack: the students and staff members were Native American. The men yelled “Go back to the Rez!” and hurled racial slurs at the group. While this incident is appalling, it is sadly not the only case of racism against Native Americans in South Dakota. In 2009, a group of five drove around Rapid City shooting BB pellets at Native Americans and threw rocks, eggs, and even bags of urine at them. In 2010, Native American Christopher J. Capps was shot dead despite the fact that he carried no weapons on him. And in 2014, the Rapid City police officer who shot Native American Allen Locke five times was exonerated. Chase Iron Eyes, the South Dakota legal counsel of the Lakota People’s Law Project, believes that racism against Native Americans must not only be addressed but that we must take action to stop it. His webpage, Last Real Indians, exposes stories such as the ones above in order to enlighten the world on the challenges that Natives face. In December 2014, Chase participated in a peaceful rally in Rapid City which protested police brutality against citizens, especially Native Americans. “We want to remember everybody and the lives that have been taken,” he stated. The rally brought much awareness to the issues of violence and racism in Rapid City, and reminded people that everyone deserves to be treated fairly and equally. The Lakota People’s Law Project will not rest until more attention is brought to bear on the structural injustices that Indians face and until positive steps and solutions are formulated. Please visit Chase’s webpage at lastrealindians.com. On December 4th, 2014, representatives from the Lakota People’s Law Project went to Washington D.C. in order to reveal to government officials the gravity of the situation concerning the Lakota tribes of South Dakota. The Department of Social Services of South Dakota has gone against the Indian Child Welfare Act (ICWA) by illegally taking Lakota children away from their families, tribes, and culture. The DSS place these children predominantly white foster families rather than state-licensed Indian foster families. 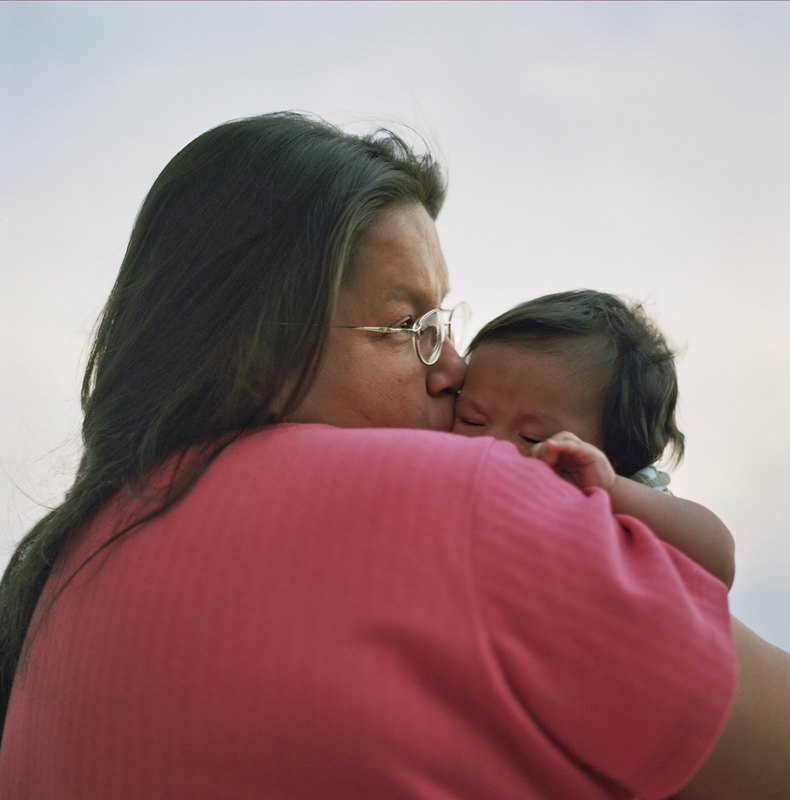 In fact, only 13 percent of Indian children of South Dakota are placed in Indian care. Another problem is the fact that many of these children are placed within abusive foster families. The Richard and Gwendolyn Mette Scandal, in which five Indian foster children were sexually abused for ten years, is just one example. Despite evidence of the Mette’s abusive and illegal activities, the state of South Dakota not only dropped the charges against Gwendolyn Mette but gave the children back to her. The scandal was covered up by the DSS between 2001 and 2013. Human trafficking is another threat to the safety of Indian children in foster care. In 2013, the Chief of Detectives of the State of Minnesota stated that there were over 100,000 children under the age of 15 who were victims of child sexual trafficking. 63 percent of these victims were involuntarily taken into a foster care system, and 40 percent of those victims were Indian. Pharmaceutical abusive also greatly affects Indian children in the foster care system. The state of South Dakota is given $4,000 when a state foster child is adopted; however, the state receives triple that amount when a special needs child is adopted. 100 percent of Indian children are therefore labeled as “special needs” and many times are given multiple power psychotropics at excessive doses to “modify their behavior.” These drugs cause serious side effects such as extreme depression and thoughts of violence or suicide. LPLP did an extensive amount of investigation on these issues and presented its findings to government officials in Washington D.C.
LPLP also stressed the need for the Lakota tribes to receive direct federal funding so that they may begin creating their own Child and Family Service Agencies. The U.S. Department of Interior, the Department of Justice, and the Department of Health and Human Services agreed to seek funding and to find a way to obtain supplemental grants to support the five Applicant Lakota Tribes who did not receive grants in 2014. The Lakota People’s Law Project was disheartened to learn the Catholic Church may pursue the sainthood of a man responsible for deplorable atrocities against the indigenous population of the United States. On Thursday, January 15, 2015, Pope Francis announced that he will canonize Junipero Serra. 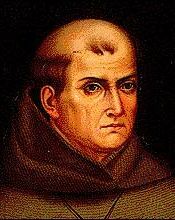 Serra was the Spanish Franciscan friar who founded missions in California. Serra was also responsible for heinous treatment of Native Americans, that included enslavement and forced labor. After their baptism, the Indians were imprisoned in the missions. The living conditions of these Indians were so harsh that many of them perished. Families were separated as men, women, and children all had different living quarters. Forced labor and corporal punishment were all part of the daily lives of these Indians. Many Indians even died due to water pollution, sanitary issues, and foreign European diseases. Those who attempted to escape the missions were hunted down, brought back, and beaten. For these Indians, the missions were not a place of religious enlightenment but a prison. Many others, however, feel that Serra’s actions are inexcusable and should be condemned rather than celebrated. The Lakota People’s Law Project believes the decision to reach back into the past and raise up a man who participated in such a despicable genocide does not reflect well upon the Church, particularly at a time when the church is moving toward a message of peace and justice. To declare Junipero Serra a saint is to ignore or even to condone his cruel treatment of Native Americans. Nothing can excuse the racial and cultural genocide that these Indian tribes of California suffered at the hands of missionaries. Count the Lakota People’s Law Project as one of the organizations unsurprised that a Rapid City police officer was exonerated in the killing of a Indian man in Rapid City last month. 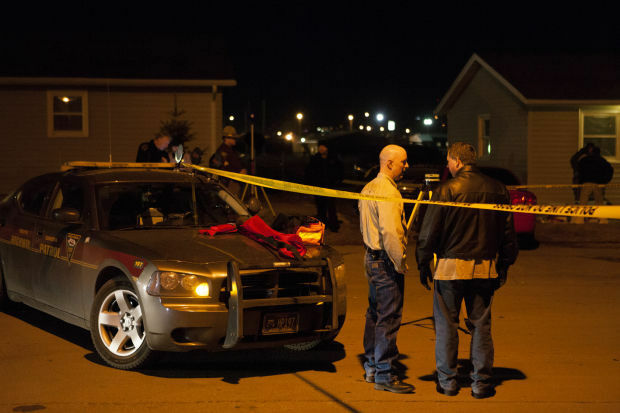 30 year-old Native American man Allen Locke was shot and killed by Rapid City police officer Anthony Meirose on December 20. Reports released by the South Dakota Division of Criminal Investigation last Friday, January 16, state that the cop’s lethal action was justified. Without access to the point of view of the victim’s police shootings we are left to acquire knowledge from police reports and witness testimonies alone. Couple this with a growing sense in the public that police are in certain cases more interested in providing rationale for the actions of their officers rather than objective analysis of events and it is little wonder mistrust is growing. According to the police report, Officer Meirose was called to a local woman’s home at 6:10 PM. The caller said that she needed an intoxicated man removed from her home–the relationship between the two was not specified. When Meirose arrived at the residence, Locke sat on the floor with a kitchen knife in hand. The man was eventually found to have a .208 blood alcohol level along with THC, amphetamines, and methamphetamines in his system. The report goes on to describe the victim advancing towards Meirose with his weapon raised. He allegedly told the officer, “It’s a good day to die.” He did not respond to the officer’s commands to drop the knife. Ultimately, Officer Meirose responded to Locke’s proximity (about 3 to 4 feet) and threat by shooting him five times. Other officers arrived at the scene shortly after to perform CPR while they awaited the arrival of medical services. Witnesses agree that Locke did, in fact, carry a knife. They heard his chilling last words and were aware of his intoxication. Chase Iron Eyes, Native activist and Lakota People’s Law Project attorney, says that the witnesses he spoke to did not recall Locke raising the knife above his head, though. Iron Eyes also said he is unsurprised by the state’s unfaltering loyalty towards officer testimony. In a time of widespread distrust toward weapon-yielding law enforcement, Officer Meirose’s actions do not stand as a a shock. Society is partaking in a much needed stream of dialogue regarding the role of deadly weapons in spheres of public safety. Just a day prior to his death, Allen Locke attended a demonstration in protest of police violence towards Natives. “Justified” or not, this kind of loss is an indescribable tragedy. The Lakota People’s Law Project sends our condolences to Allen Locke’s loved ones. We hope to see a day when reports of police killings are no longer unspectacular facets of the daily news. We support reforms in police training and a more positive interaction between police departments in minority communities. The Lakota People’s Law Project is currently working on a comprehensive report that looks at the relationship between the Indian community and the criminal justice system. 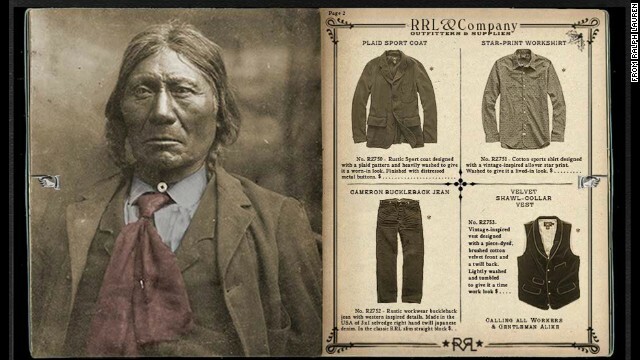 Fashion house Ralph Lauren’s 2014 holiday ad campaign caused an uproar due to disturbing use of assimilation era photographs. The pictures depict real men of the time dressed in the Western clothing forced upon them in an effort to “Americanize” Natives. Lauren is no outsider to the business of Native exploitation. The brand has consistently produced clothing festooned with Native imagery such as war bonnets and totem poles. Patterned items are often named in reference to tribes. 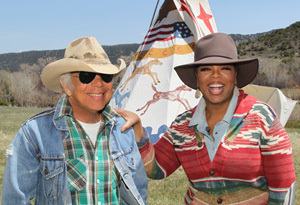 Ralph Lauren’s Colorado ranch, toured on an Oprah’s television special, is adorned with teepees and decorative photos of unnamed Native Americans. While Lauren has continuously profited off of Native American culture, he has made no effort to give back to the struggling community. In her article, Hopkins mentions the possibility of collaborating with Native designers or donating to tribes. The company has done neither. Any so-called celebration of America’s cultural heritage surely would not market off of the blatant smothering of this diversity. 19th/20th century efforts to assimilate indigenous people through appearance, language, and culture continues to present major hurdles faced by Natives today. Revisiting the era as a fashion statement while such injustice survives is a reminder of the ignorance that persists in the United States. Tell Ralph Lauren how you feel by contacting him on Twitter (@RalphLauren) or submitting a comment through the company website. 2015 is finally here, and the Lakota People’s Law Project (LPLP) is continuing its mission to help the Lakota tribes of South Dakota. For years, the government of South Dakota has willfully ignored the Indian Child Welfare Act (ICWA) by removing Indian children away from their families, tribes, and culture. Rather than attempt to make South Dakota follow ICWA, LPLP has discovered another and more efficient solution: having the federal government directly fund the Lakota so that these tribes may create their own Child and Family Service Agencies. Having a foster care system for Lakota and by Lakota would prevent the illegal removal of Lakota children from their homes and would ensure that these children grow up in a safe environment allowing them to retain their unique culture, language and heritage. As these children are the future of their tribes, it is right that the Lakota tribes themselves take care of these children. Tribes such as Standing Rock, Rosebud, and Oglala have received grants that will allow them to begin the process of qualifying to receive direct federal funding. Standing Rock, in fact, has already completed its first quarter tasks and has undertook historic steps to be economically self-sufficient in 15 years, due to the indispensable help of Lakota People’s Law Project and A Positive Tomorrow. Not all of the tribes have received grants, however, as the Baucus bill only allows five tribes a year to receive funding from the Title IV-E program. Thus, LPLP has met with high ranking officials in the Department of Justice, Department of Interior and Health and Human Services in an attempt to convince them to fund the remaining five tribes — Cheyenne River, Crow Creek, Lower Brule, Flandreau and Yankton. LPLP continues to be in conversation with these officials to convey the urgency of having South Dakota’s tribes prepare for direct federal funding in concert so they can address issues, share resources and save taxpayer dollars. We remain steadfast in our goal that these remaining tribes will receive supplemental grants and the funding they need by 2016. Meanwhile, LPLP will create Organizing Support Programs to help support tribal planning programs to assist in the complex implementation of the planning grants and their attendant 18-month deadline. Another critical goal in 2015 is to increase the national visibility of issues pertinent to the Lakota people and all Indian people in the United States. LPLP will continue to release more reports including an upcoming one on unequal protection under the law for Indians. LPLP will continue to investigate further into issues such as police brutality against Natives, the pharmaceutical abuse of Lakota children in foster care, human trafficking, and the impact of environmental issues on Lakota land. We will also continue to bring awareness to the public through our Facebook page, which currently has about 150,000 followers (a figure we hope will double this year). This blog is yet another instrument in bringing to light the problems of structural injustice that continue to afflict the Lakota and other indigenous nations. LPLP also has 50,000 signatures on a petition to be placed in front of President Barack Obama, asking him to help bring the Lakota children home and to help the Lakota tribes create their own Child and Family Service Agencies. It is our hope that we will gain 100,000 signatures in the coming months. LPLP looks forward to a successful year and will strive to make all of our goals a reality. As always, thank you for your support. It is impossible to achieve such progress alone.